In the third in our series of NHS RightCare blogs, Professor Matthew Cripps explains why some variation is good, and why eliminating bad variation is everybody’s business. It has been known for some time that there are wide variations in many aspects of healthcare, not just in the NHS but in healthcare systems around the world. In the UK media, the occurrence of variation is often referred to as the “postcode lottery”. This means that in some parts of the country more people may receive a certain intervention, such as cataract surgery, than people living in another part of the country. But there are several types of variation: in some cases, there are good reasons for variation, but in other cases the reasons for variation can be more difficult to justify – and it is this type of variation that offers opportunities for improvement. If we are to take the necessary action to increase the value that the NHS provides individuals and the wider population, it is essential that the public and healthcare professionals understand the different types of healthcare variation. Firstly, why is it that some variation is acceptable? This is because, whilst some of the variation observed in healthcare is random and occurs by chance, the variation that is justified arises because each patient is different and needs to be cared for as an individual with specific symptoms, characteristics, needs, personal circumstances and values, as is set out in the NHS Constitution. This type of variation reflects differences in patient-centred care and is based on the assessed need for the population served. Some variation in healthcare is not just acceptable, it is a good thing and to be desired. Acceptable variation may occur due to innovation in treatments or care. In such cases, the degree of variation across the country may appear to be wide initially, as the intervention is taken up by early adopters, but it is likely to decrease as the intervention becomes more widespread and is adopted throughout the health system. Improving the roll-out and spread of effective innovations and knowledge helps to shorten the length of time for this to occur. These types of variation are referred to as “warranted”, and are considered acceptable in any healthcare system, anywhere in the world. Some types of variation can sometimes be unacceptable and harmful for patients, their families and carers, and the health services that support them. Variation that has harmful consequences is known as “unwarranted variation”. In many cases, it is not possible to be definitive about all the reasons for unwarranted variation because the delivery of healthcare is complex, and it is not possible to control all of the variables or ‘moving parts’ involved. As both underuse and overuse in healthcare can cause harm, it is important for the system, and those within it, to understand the causes and effects of unwarranted variation. STP packs that collate opportunities for improvement for the local health economies that make up each STP area and highlight shared opportunities that can be better taken by working together. NHS RightCare is also working with Public Health England to co-publish the NHS Atlases of Variation. This series of atlases highlight the issue of unwarranted variation in the provision of healthcare in England using a wide range of indicators. A reduction in all types of unwarranted variation will increase value for individual patients and for populations, ensuring that the right people are given the right care in the right place at the right time – all whilst making the best use of available but finite resources across the health service. Supporting local and national delivery of this is the aim of NHS RightCare. 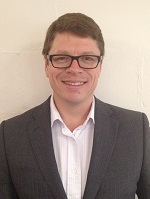 Professor Matthew Cripps BA MA CPFA is National RightCare Director. NHS RightCare is a programme of NHS England that focusses on population healthcare improvement and helping the wider health service to identify and use techniques, tools and methodologies to increase value in healthcare. Matthew is a chartered accountant and was an NHS Director of Finance before he moved into change management. 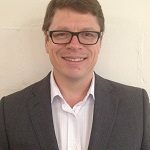 In addition to his NHS career, Matthew is Emeritus Professor of population healthcare improvement at the University of Salford, and was previously Professor of Business Processing and Knowledge Transfer at the Manchester Metropolitan University Business School.